This is an intimate setting so the number of participants is limited to 50-75 reenactors and several cannon and one horse. Schedule of activities may be subject to change during the weekend. It is acknowledged that participating units are experienced having been at these types of events for several years. All units participating are required to have insurance and must follow British Brigade, Continental Line or BAR standard safety rules. 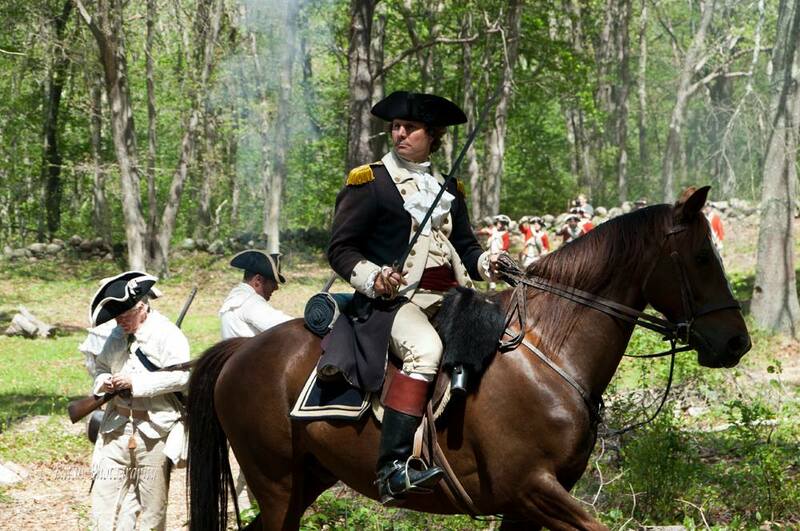 Authenticity standards and general conduct of reenactors will apply and will be vetted by the event commanders. All participants must be registered beforehand or registered and approved on site. House will be open for walking tours provided by the Nathanael Greene Homestead Docents and staff with guest appearances, including Caty Greene hosting visitors in the Homestead. Laura Paton of Laura Paton Photography will have prints from last year’s event available and will be taking pictures at this year’s event.